[Updated, 5:45pm] Ding, ding. 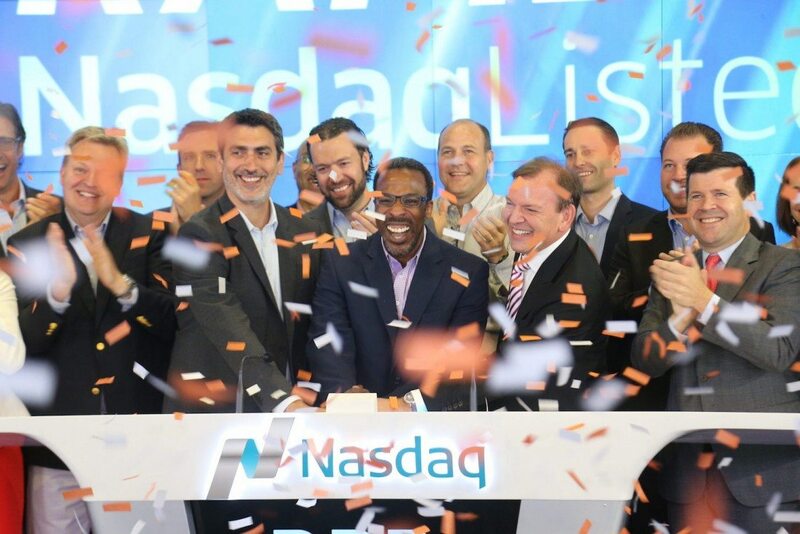 Rapid7 CEO Corey Thomas rang the opening bell at the Nasdaq this morning, and the Boston area’s first tech IPO of 2015 is in the books. Rapid7 (NASDAQ: RPD) raised $103.2 million by selling 6.45 million shares at $16 a pop, which was above the expected price range. The cybersecurity company’s pre-trading valuation was $605 million. For those keeping score across sectors, today’s deal makes it 8-1, biotech IPOs to tech IPOs in Massachusetts this year. It’s a scarce market for tech IPOs nationally. All eyes will be on Rapid7’s stock performance—especially the eyes of other cybersecurity companies that might soon follow in its footsteps. Chief among those locally are Veracode, Bit9, and Mimecast. We’ll update this space with further developments.